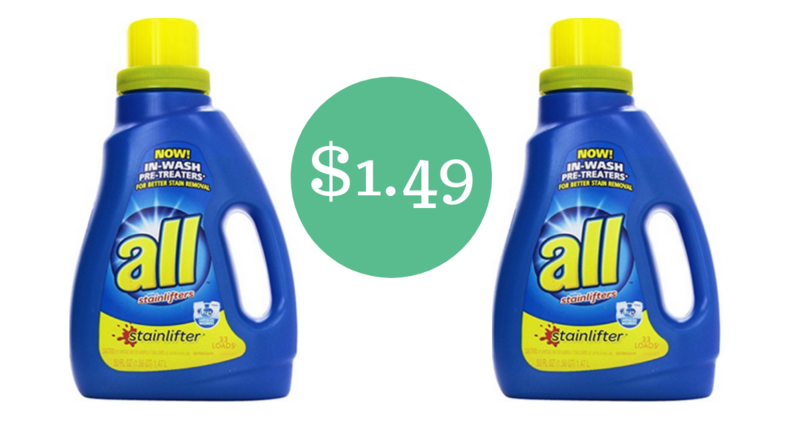 Grab All Laundry Detergent as low as $1.49 a bottle this week with a new sale at Kroger! This is part of a new Mega Event that started Wednesday and will run through 11/13. If you don’t have a Kroger (or don’t shop there) don’t fret, there are two other great deals at Publix and Target! Tip: Comparing bottles by size, the Target deal is like getting the small bottles for $1.88 ea.